Jennie-O is dedicated to helping you create a better menu with turkey products that kids love, and both you and parents trust. Discover all the amazing things you can do with the JENNIE-O® brand. Students line up for All Natural. 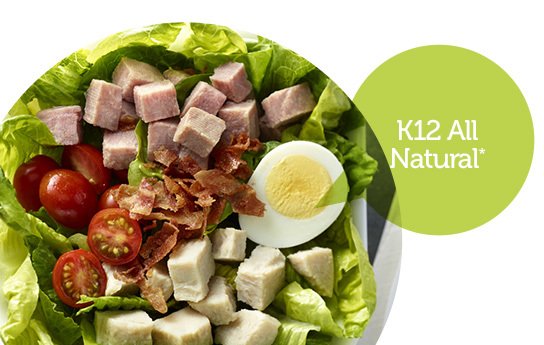 Your kids are used to seeing All Natural* items on the menu away from school, now you can give them what they want in the cafeteria. There's a turkey for that. king breakfast or lunch, Italian or Mexican, sandwiches or a Thanksgiving feast – we have plenty of delicious, nutritious turkey options that are sure to please, including a variety of All Natural products. These USDA formatted recipes can make even the pickiest eaters say yum. 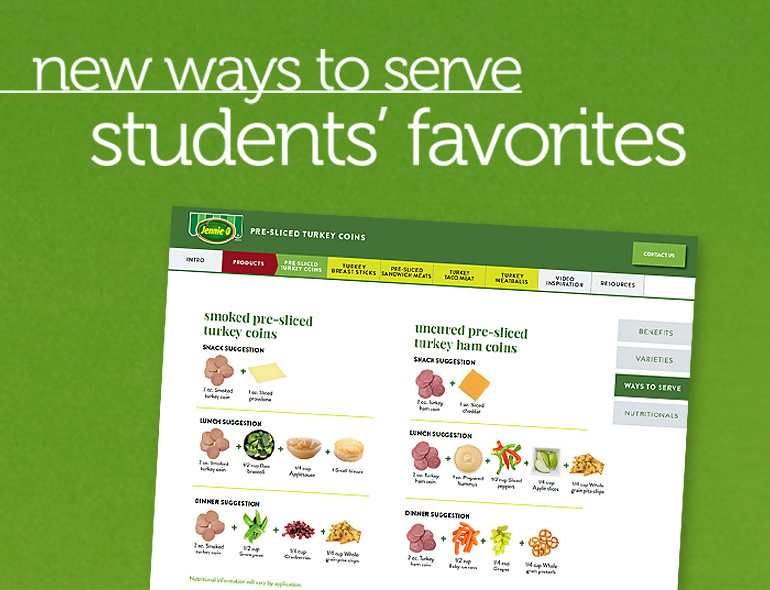 Check in regularly for fresh menu ideas that you can feel good about and your students will rave about.  Inspire kids to make better cafeteria choices with branded signage, wrappers and stickers. And earn cool stuff for your kitchen, your school and your students when you purchase delicious JENNIE-O® products. Simple monthly challenges designed to help SNA members lead a better lifestyle. You'll get access to recipes, exercise ideas and wellness tips plus have a chance to win health and wellness themed prizes. There’s a turkey for that. Jennie-O Turkey Store has a wide variety of turkey products that kids love. Whether you're making breakfast or lunch, Italian or Mexican, sandwiches or a Thanksgiving feast – we have plenty of delicious, nutritious turkey options that are sure to please, including a variety of All Natural products. Simple monthly challenges designed to help SNA members lead a better lifestyle. You’ll get access to recipes, exercise ideas and wellness tips plus have a chance to win health and wellness themed prizes.